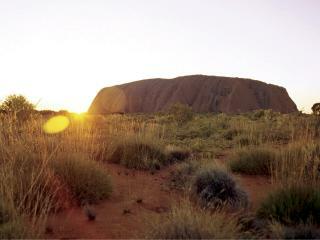 Spend 2 days exploring part of the Top End on this Uluru Unearthed Tour from AAT Kings. Travel through the James and West MacDonnell Ranges, stoping at a camel farm, Watch the sun set over Uluru while enjoying a glass of wine, and rise early the next morning to experience the beauty of a sunrise over the Red Centre. Travel to Mutitjulu and be escorted to the waterhole where you will see Aboriginal rock art and hear about the history of the area. With 3 days to explore the amazing landscape of the Australian outback, this Uluru & Kings Canyon Discovery Tour is for you! From Alice Springs you travel through the West MacDonnell and James Ranges to Kata Tjuta, Walpa Gorge and enjoy a beautiful sunset at Uluru. You also get to experience a sunrise over the Red Centre, before a drive around the base of Uluru and a visit to Mutitjulu Waterhole. 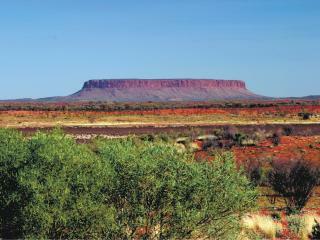 Join a guided climb to the rim of Kings Canyon for a fantastic view of Watarrka National Park. 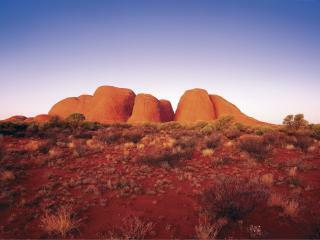 Spend 4 days exploring the amazing attractions of the Red Centre with AAT Kings on the Kata Tjuta, Uluru & Kings Canyon Tour. Travel in an air-conditioned coach visiting iconic attractions such as The Olgas (Kata Tjuta), Ayers Rock (Uluru), Kings Canyon, Watarrka National Park and the Valley of the Winds.